Based near Beaverton, Oregon, Nike is the world’s leading designer, marketer and distributor of authentic athletic footwear, apparel, equipment and accessories for sports and fitness activities. Nike’s goal was to activate their new autumn/winter running and training collection with their key influencers, inspiring more people to challenge the weather conditions of the Nordics. Nike and AWB created an activation alongside blogger/author Flora Wiström, photographer/blogger Frida Vega Salomonsson and film director/model Nim Sundström. They were invited to travel to Iceland to create unique content for their personal channels and a short film to showcase the experience. AWB planned, joined and lead the production in Iceland to ensure that the brand message was heard through all content production. AWB also coordinated and maximised the effect of the content while handling influencer relations and brand loyalty. Based near Beaverton, Oregon, Nike is the world’s leading designer, marketer and distributor of authentic athletic footwear, apparel, equipment and accessories for sports and fitness activities. Find out more about Nike here. We act as PR consultants and showroom coordinators for the Swedish market, including larger activations and launches. For the launch of the NikeLab ACG Holiday 15 collection, Nike wanted to invite key media and influencers within fashion, music and sport, creating an exclusive event in Stockholm. The idea was to take media and influencers to a secret location in Stockholm where they would experience the new collection through dinner. The sounds and lightings effect would connect back to the collections resistant nature to extreme weather, creating a unique ambience throughout the space. 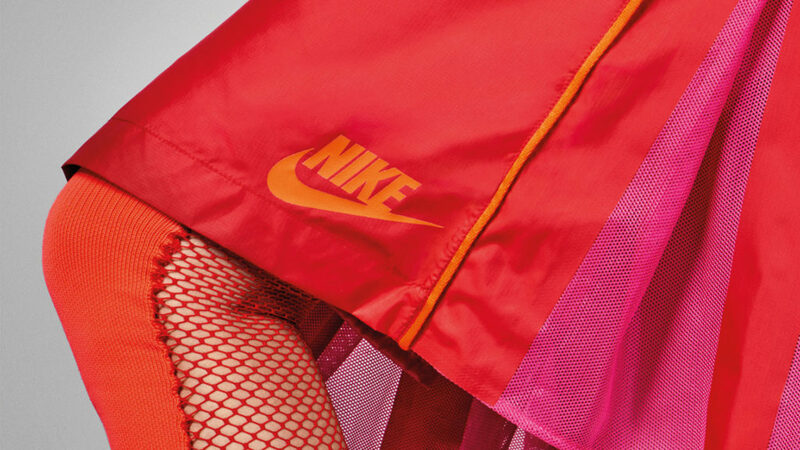 During the ‘Just Do It’ Weekend in which 4000 female runners gathered in central Stockholm for a 10k race, Nike’s aim was to build a showroom and retail store for the NikeLab x Sacai collaboration. AWB handled everything from producing the showroom and retail store and handling the communication surrounding it. We launched a media collaboration with Bon magazine to host the opening party and on the second night, held an intimate dinner for specially chosen influencers in the creative industries. In connection the launch of the all new Hypervenom 3, Nike wanted to highlight the Swedish football player John Guidetti as one of their profiles wearing the new shoe. We noticed that the sale of football shoes come from a young audience, often not reachable through traditional press and media. We invited the popular Youtube channel “Stockholm Street Soccer” down to Vigo where they were able to meet John and produce fun and engaging content specially made for their fans. To secure full coverage, we also invited football publication Magasinet Match and sport newspaper Sport Expressen. One day in Vigo resulted in extensive coverage within Magasinet Match and Sport Expressen. The video from Stockholm Street Soccer was one of the most viewed video on their channel with 100 000+ views within only a few days.